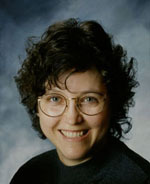 For over a decade, counselor and play therapist Yvonne Williams Casaus has helped children, adolescents, adults, and families in her private practice. Now with her first book, A Drop of Water: A Spiritual Journey (2016), she continues her outreach as she shares about healing, grief, and personal growth. You can find Yvonne at LaughingAtMyself.lol and on Facebook and Twitter. What is your elevator pitch for A Drop of Water: A Spiritual Journey? 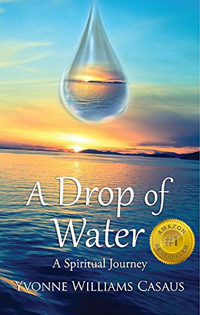 A Drop of Water: A Spiritual Journey is a tangible way out of depression, trauma, and loss. I was spiritually inspired to share from my knowledge as a therapist and suicide loss survivor. I lost my first husband, the father of my children, to suicide. It is my own personal story that I share to help others. My love of water transforms it into a lighthearted, uninhibited, and fun poetic journey. When readers turn the last page, what do you hope they’ll take away from it? I hope they will learn that we can all overcome profound tragedy, grief, and depression because we are all connected. We all feel loss; we all have dark nights of the soul. It will remind you that no matter how lonely you feel, you are never alone. Of the 8 billion species on earth, there are 7.24 billion people of different cultures, ages, and genders. What is the universal link that connects us all? Water. A drop of water, an ocean of water, we are all connected. Writing the book definitely took me out of my comfort zone. I never thought I would share my personal story of loss. It was so painful I never imagined I would put it on paper. However, it has been very healing. I have now met so many people who have been affected by suicide. It is considered a taboo subject, but it is so important to start talking about it and end the stigma of mental illness. It was also challenging because I wrote it while working full time as a mom, wife, counselor and play therapist, so I really had to learn to manage my time. I had a calling for many years to write a book. I did not know what I would write about, but I felt there was a book inside me that needed to come out. I truly believe it was spiritually inspired. I attempted to write it many times. Finally, during a weekend writing retreat the words came out so quickly I started typing with my eyes closed. The first draft was written in a weekend. The editing process took much longer. It took a year to create a cover, edit, and self-publish the book. I learned a lot in the process. Do you have a favorite quote from your book that you’d like to share? Was there anything surprising you discovered while doing research for this book? The entire process of writing this book has been a surprise. One of the most delightful things I discovered was that I could write in rhyme. I have never rhymed, so I was literally laughing out loud and laughing at myself while writing this book. That is why my website is LaughingAtMyself.lol. I discovered that my ability to laugh at myself has been a huge part of what has helped me heal and grow. I found it extraordinary that the joy I felt was in direct proportion to the pain I experienced during my grieving process. I was also completely taken aback by the statistics—nearly 800,000 people die from suicide each year. When you’re dealing with a loved one’s suicide, you think you are the only one. What was the most rewarding aspect of writing A Drop of Water? The most rewarding aspect is knowing my words are helping people. So many people have reached out since I opened up about my loss. I have gotten amazing feedback about how my book has helped others struggling with depression. I am proud to be fighting the stigma of mental illness. I hope these words will give people courage to talk about how they are feeling and ask for help if they are struggling. I was honored to be asked to run a writing workshop for Long Term Survivors of Suicide at the Grief Resource Center. I have also been featured in many blogs, television, and radio programs to discuss suicide, depression, anxiety, and grief. Do you write other than nonfiction? Yes, I am halfway through my next project which is a fantasy novel dealing with spirituality. It is a young adult book. I work with many adolescents so I was drawn to this genre. I have really enjoyed writing paranormal fiction and creating my own fantasy world. So far there is a lot of suspense, romance, betrayal, and vampires. All of which I love to read. Writing has helped me heal more than I thought I could. Sharing my deepest, darkest moments with the world has to be the most terrifying thing I have ever done. I have gone skydiving, and I have snorkeled with sharks. I am pretty adventurous. I don’t mind heights, and I love big, scary roller coasters. However, I tend to be a very private person, so sharing the loss of my husband to suicide was not easy for me. It has given me more courage and confidence in myself. I learned that I am much stronger than I ever imagined. Just write. Editing can come later. Write from the heart and let the words flow quickly. I found that if I stopped to correct my mistakes, it would take me in a different direction. We all have stories to tell. I say, “Do it!” Courage is not the absence of fear; courage is doing what you are called to do in spite of your fear. Besides my young adult fantasy novel, I have been working on blog posts for my website. And I was recently awarded an Honorable Mention in a SouthWest Sage short story writing contest. My story “Awakening” is featured in the February 2017 edition of the Sage (page 8). Yvonne’s book sounds very important and I look forward to reading it. It is always a risk to share such personal stories but well worth it since survivorship has its own rewards. Those of us who live to tell our stories have a responsibility to help those going through difficult times.